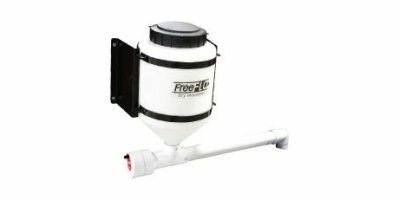 The FreeFlo Dry Inoculator can accurately meter all dry materials such as inoculants, talc and graphite. 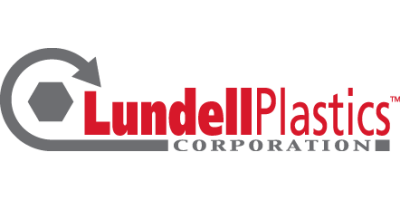 Most everyone uses seed lubricants or inoculants but how accurately are they being distributed? Uneven distribution of the lubricants and inoculants can reduce planting accuracy and yield which costs you money. Our variable speed FreeFlo Dry Inoculator takes the effort and guesswork out of this process. Simply fill the 30lb hopper with your material, set at your desired rate and fill your planter boxes. Your seed is now evenly coated and ready to plant flawlessly. Use in conjunction with the FreeFlo Wireless Remote to automatically start and stop the material flow with your auger or conveyor. Mount the unit as low as possible on the tender to allow for easier filling. If you are having difficulty directing the flow of the talc or inoculant to the center of the conveyor, PVC fitting can be attached to the end of the auger to help direct the flow. Most materials will flow through and drop pipe at a 45 degree or steeper angle. Support the end of the discharge auger to the tender to prevent bouncing when traveling with the tender. Clean out the tank at the end of each season to prevent caking of material in the tank and drive unit. No reviews were found for FreeFlo - Dry Inoculator. Be the first to review!